The Kremlin diet plan is one of the most popular options of weight loss existing encompassing several advantages at once. This diet will give quick and great results and what’s even more important your excess weight will not be back for quite a while after quitting it. In addition, this diet includes quite many variants of dishes enabling you to choose any of the options you may like. Thus, pointing out the main details about the Kremlin diet we can speak about the following details! Peculiarities: it can be described as a classic protein diet with low consistency of carbohydrates. For the percentage of the latter, in each of the dishes it is estimated by points and the daily ration is formed according to those estimations. Price: since this diet doesn’t require any special products it is quite compatible and affordable with the daily budget of yours. Results: from 5 kg after 7 days, and from 8 kg after 2 months. Recommended frequency: not more often than once a year. Additional effect: it’s adapted for fitness exercises. The intake of proteins allows to support the muscle mass and get rid of excessive accumulations of fats. Contraindications: the Kremlin diet is not recommended for those, who suffer from problems with digestive system, as well as during pregnancy and breast-feeding. Before going for this diet you should of course consult your doctor. Just like many super popular diet plans there exists a number of myths about the Kremlin diet. Some people believe that it has been created and developed secretly for the astronauts. Of course, this is not actually true but this diet has gained a great popularity and some people even believe that it has been practiced among the officials of the highest posts! In fact, this diet was created by Yevgeny Chernykh, who prepared publications for one of the most popular and highly rated Russian magazines. So when millions of people started discussing it and sharing their success stories with others, this diet really appeared in the focus of everyone. The choice of the name doesn’t seem to have any special explanation either and we can only assume that it has just been picked to gather attention additionally. From the very first sight, the Kremlin diet seems to catch everyone’s attention with its simplicity. You don’t even need to change the daily ration of yours critically to start following this diet. The key is to follow the consistency of carbohydrates of the products you eat all the time. So the main principle of this diet is the practically absolute cut down on carbohydrates instead opting for as much food containing proteins as possible. The radical change of the percentage of carbohydrates thus changes the processes going in your body mostly influencing metabolism. Generally in normal conditions the carbohydrates taken from the products we have act as resources for enhancing our physical and mental activities. At the same time these elements are quite popular with their functions to radically increase the level of sugar in blood, which may cause hunger and may force the organism to start accumulating fats as resources. Still, when your body appears to be in a situation where it has some deficiency of carbohydrates and is currently taking all the nutrition by means of proteins, thus it stops creating resources of fat and in addition starts to spend those that have already been created. That’s why the Kremlin diet’s results may be noted from the first week! In order to secure the convenience in counting the ration of the Kremlin diet, it follows the principle of points, i.e. CU for each dish. So these points are for the corresponding amount of carbohydrates in each dish taken with 100 g. For the first stage of the diet in order to unleash the long-awaited process of changing the nature of the metabolism and to start losing weight you are allowed to eat up to 20 CU, which reaches 40 CU in two weeks. This diet differs from the rest by the fact that it doesn’t regulate the number of meals per day, but most of those who go for it generally stop on three times a day. Proteins secure the feeling of satiety for a long time and if you don’t eat too frequently it’s easier to count the points. If you start following a certain time schedule for meals after a couple of days you won’t even have to look what’s the time since you will feel that it’s your meal time without even having any watches and clocks and even if you can’t stick to a certain fixed schedule you may eat your meals whenever you like simply keeping the total amount of CU fixed per day. 1. Starting stage: from 7 to 14 days, during which you are allowed to have up to 20 CU per day. 2. Main stage: up to 6 weeks, during which you may have up to 40 CU per day. 3. Final stage: starting with 7 days, during which you may have up to 60 CU per day. In addition, if this ration helps you feel good and if you feel comfortable with it, you may keep this ration as long as you like. Kremlin Diet: How to Count the Calories? The easiest way to do this is to take into account the products you have during the day with their fixed values, for instance, taking protein food like meat, offal, sausages, and fish as products with a zero index, which supposes that they can be eaten with any proportions you may like. As for other products like vegetables you may count from 2 CU for the 100 g of cucumber to 16 CU for potatoes, or from 3 CU for lemons to 68 CU. The dairy products are counted from 0.5 CU for cheese to 29 CU for curd with dried fruit. You can easily find the consistency of all the elements on the packaging of the products you’re buying, which enables you to count easier. So the list of the products that are included in the list of don’ts looks like the following! Breakfast: cottage cheese, 2 boiled eggs, tea or coffee without sugar. Lunch: vegetable salad (cucumber, tomato, cabbage) with vegetable oil, meat soup with sour cream, steak on the grill, drinks without sugar. Dinner: boiled cauliflower, fried chicken breast without breading, drinks without sugar. Breakfast: eggs with ham, sugar-free drinks. Lunch: salad with mushrooms and vegetables, steak, vegetable soup. Dinner: salad with tomatoes, boiled or fried fish, drinks without sugar. Breakfast: hard cheese, 2 boiled sausages, drinks without sugar. Lunch: baked fish, salad of pickled cabbage. Dinner: boiled beef with broccoli, sugar-free drinks. Breakfast: scrambled eggs with cheese, sugar-free drinks. Lunch: ear, fried chicken, mashed turnips. Dinner: lettuce with vegetable oil, lemon juice and pumpkin seeds, kebab, drinks without sugar. Breakfast: scrambled eggs with mushrooms and tomatoes, sugar-free drinks. Lunch: Greek salad, steak, celery soup. Dinner: grilled chicken, vegetable salad, a glass of kefir. Breakfast: cottage cheese with berries, sugar-free drinks. Lunch: meat-bag, egg salad, cucumber and boiled chicken with vegetable oil. Dinner: steak with assorted vegetables (squash, cauliflower, peppers, asparagus, and other non-starchy vegetables), drinks without sugar. Breakfast: scrambled eggs with ham and mushrooms, sugar-free drinks. Lunch: vegetable soup, pork chop, lettuce. Dinner: boiled sausage, braised cauliflower with green peas, apple. Like any other diet and ration this one also has its limitations. Those minuses are identical with those that generally occur for any other diet plan, which is rich in proteins. Especially if those proteins are of animal origin, they are assimilated by the organism more slowly and as a result some decomposition products are created, which get stale because of the low consistency of cellulite consumed. This might border on some problems with the outputting system especially in terms of overload, but you can easily avoid this problem drinking plenty of water in order to take care of your intestine and of course eat non-starchy vegetables with meat you’re eating, especially poultry and fish. Picking meat you should be attentive to have lean products from somewhere with a good reputation, with the help of which you will be able to minimize the intake of hidden harmful fats the use of which will be crucial for the formation of cholesterol in your blood. The toxins including purines provoke the creation of kidney stones, which are an additional risk in case of lavish consumption of meat. You should try to follow the balance of macronutrients in your daily ration and not go too far with beef stakes eating them like three times a day. In addition, the decrease of the number of fruits and vegetables consumed may also cause vitamin deficiency, that’s why it’s essential to have a citrus fruit from time to time or just pick an apple or some berries, which are allowed by the number of points. Fresh eggs are also an important source of useful elements and suitable in terms of the points too, since 2 boiled eggs contain just 1 CU. Also, we can’t but note that the Kremlin diet plan will become a real test for the sweet tooth! If you can’t imagine your day without sweets and cookies and chocolate then you might have hard times going for the Kremlin diet. So you need to be sure that you really can stand this diet before opting for it or just pick something else. It’s not unnecessary to speak about the range of contraindications that exist about the Kremlin diet. As we’ve spoke a bit about this above, this diet is not recommended to people, who suffer from any chronical diseases like heart, intestine or kidney problems. In addition, this diet is not an option for the period of pregnancy and breast-feeding. People who have reached an elderly age should not take the risk of picking this diet either. This is also true about just any other diet since in their case it might bring to some health problems. As the nutritionists state, each person requires an individual approach when forming a diet or a daily ration, which should take into account the state of the person’s health and the peculiarities of his or her organism. 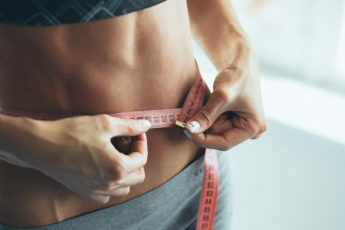 Many people make their bodies suffer and get tortured trying out a number of diets and methods to lose weight without even thinking about the possible outcomes. So you should never rush with any decision, which is connected with your health and your correct nutrition. That’s why we really recommend and insist that you consult a specialist before opting for a certain type of diet, including the Kremlin diet plan. Only after passing special tests and finding out that your body is ready for a diet may you pass to following it. Despite the fact that the Kremlin diet has managed to receive a great deal of positive feedback, it also requires special consideration and attention, which should be taken into account before opting for it!